Ruzin Ağanoğlu received her M.Sci. (2003) in physics from the Middle East Technical University, Ankara/Turkey and Ph.D. (2012) degree in physics from the Free University Berlin, Germany. After her pre-doctoral studies in the field of non-linear optical properties of quantum wells, she started working as an application specialist for ophthalmic surgical laser and diagnostic devices for a multinational medical device company. 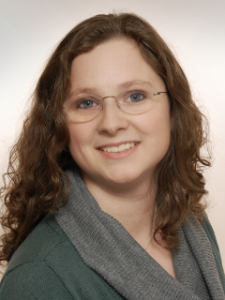 She came to Berlin for her PhD studies and her research focus was coherent control of laser – material interaction. Since 2013 she has been working at the Leoni Fiber Optics GmbH as Team Leader Product Engineering Department for development of optical fiber based laser surgical probes. She is responsible for steering product development and project management activities in the medical product segment. Since 2011 she has been an elected steering committee member of German Physical Society’s (DPG) Working Group for Equal Opportunities (AKC) and the focus of her activities lies in the organization of workshops with topics of Entrepreneurship and Creative Thinking for young physicists as well as networking activities for women in physics. Barbara Albert is a solid state chemist working as full professor at the TU Darmstadt (since 2005) and serving on the Supervisory Boards of Evonik Industries and Schunk group. Further activities include being European Editor of Solid State Sciences (an Elsevier journal) and member of the Chemistry Review Board of the Deutsche Forschungsgemeinschaft. 2012-14 she was president of the German Chemical Society. Professor Albert studied chemistry in Bonn and received her PhD in 1995, followed by postdoctoral research at the Materials Research Laboratory at the University of California Santa Barbara, U.S.A., and at the Justus-Liebig-Universität Gießen. Her awards include a grant from the Alexander von Humboldt foundation, a Lise-Meitner grant, the ADUC-, and the Bennigsen-Foerder awards. From 2001 to 2005 she had a full professorship for Solid-State Chemistry and Materials Science at Universität Hamburg. From 2007 till 2011 she was head of the chemistry department at TU Darmstadt. In 2016, she was elected as member of the Berlin-Brandenburgische Akademie der Wissenschaften. Her research fields are the synthesis and investigation of hard and refractory materials with interesting electrical, magnetic or optical properties. 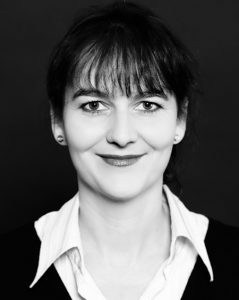 Dr. Kathrin Goldammer is an energy market expert with special interest in German and European energy policy, stakeholder involvement in politics and transdisciplinary approaches in knowledge generation. 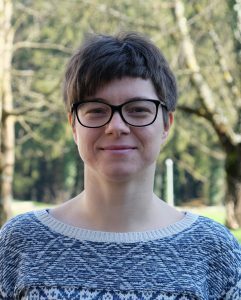 Kathrin Goldammer studied Electrical Engineering at Technical University of Berlin and received her PhD in Physics after research periods in Switzerland, the USA and Japan. After that, she started her career in the energy industry managing German electricity generation for a Swiss utility company. From there she switched to consulting and was in charge of asset management and portfolio optimization projects for municipal utilities and industrial enterprises. In 2012 she switched to the Institute for Advanced Sustainability Studies, a think-tank for sustainability research in Potsdam, and established the Transdiscipilinary Panel on Energy Change. The Panel proposed energy policies from renewable energy incentive schemes to the future of conventional power plants as well as social aspects of energy system transformation. From there she transferred to the German Academy of Science and Engineering acatech where she was in charge of the Energiewende Research Forum, the multi-stakeholder dialogue platform of the German Federal Ministry of Education and Research. In 2016 she became managing director at the Reiner Lemoine Institute, an applied energy research institute in Berlin. Kate Isaak was born and raised in the UK. She studied Natural Sciences as an undergraduate, drawn to the University of Cambridge by the breadth and depth of science offered in its degree course. After much deliberation, she specialised in Physics in her final year. A deep interest in addressing specific science questions using self-built tools led her to pursue a PhD that combined submillimetre-wave/Terahertz astronomical instrumentation with a search for the fingerprints of starformation in very distant galaxies. 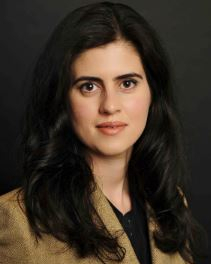 The theme of working at the interface between science and engineering and in international teams runs through her career, with fellowships and postdocs at the University of Massachusetts in Amherst/University of Maryland at College Park, at the University of Cambridge and at Cardiff University following her PhD. 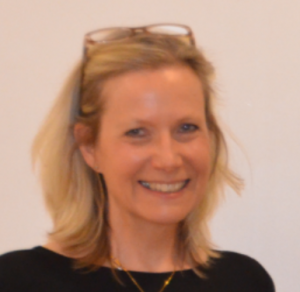 Kate Isaak has continued to work on international astronomy projects, and in 2004 whilst at Cardiff joined the then UK-led European team working on Japanese-led SPICA mission as a Project Scientist. The dynamic and international/multicultural flavour of space science particularly appealed to her, and in 2010 she made the jump from academe to agency to follow this. She is now working in Holland at ESTEC, the Technical Centre of European Space Agency (ESA) as the ESA project scientist for a joint ESA-Swiss space mission called CHEOPS, which will make the first-step characterisation of known planets outside our solar system by measuring precisely their radii. Monika Lelonek studied chemistry at the Westphalian Wilhelms-University in Muenster. She focused on physical chemistry and started to work on her PhD thesis in the fields on nano porous alumina layers and their behavior on non-planar surfaces. Additionally she took classes in business administration and economics. During that time she founded the company SmartMembranes with Dr. Petra Goering in the city of Halle. As the CEO of that company she is responsible for the finances and sales. SmartMembranes was founded on 20th July 2009 as a spin-off from the Fraunhofer Institute for Mechanics of Materials. The company is the leading manufacturer of high-ordered porous materials from alumina and silicon with defined and adjustable membrane properties and structure parameters. SmartMembranes manufactures not only membranes on customers’ request, they also develop new processes and products around the core business. 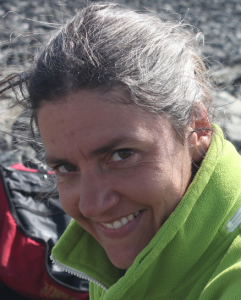 Dr. Amedea Perfumo is a microbiologist specialised in the study of extremophilic microorganisms, and in particular interested in linking aspects of biodiversity and natural adaptation to the potential for applications in biotechnology. Amedea Perfumo studied molecular biology and microbiology at the University of Genoa and University of Tuscia in Italy. In 2005 she was awarded a FEMS (Federation of European Microbiological Societies) fellowship and moved to the United Kingdom to the University of Ulster, where she continued her studies and obtained, in 2010, her PhD in environmental and applied microbiology. In this initial stage of her career, she carried out research on thermophilic bacteria, organisms capable of living at temperatures as high as 80°C, while studying not only the ecological roles of these organisms but also their potential use in environmental bioremediation and industrial processes. Perfumo then turned her attention towards cold-loving microorganisms and the challenges for life under frozen conditions. From 2010 to 2013 she was research fellow at the European Space Agency (ESA) in the Netherlands, where she performed experiments to test the lowest limits of temperature that sustain growth of microorganisms in anoxic environments. By coupling subzero temperatures with the absence of oxygen, her work was pioneering in shedding light on a largely unexplored group of extremophilic organisms that could potentially survive on other planets in our solar system. In 2014 Perfumo moved to Germany to the Helmholtz Centre Potsdam – German Research Centre for Geosciences (GFZ), where she continued her research on low temperature microbiology by studying the eco-physiology of bacteria from the polar regions of Earth and the biotechnological potential of cold-active biomolecules and enzymes. In 2015 she was awarded with the Marie Skłodowska-Curie Fellowship by the European Commission to study the biodiversity and biological activities of microbial communities buried in the deep frozen biosphere of permafrost soil. 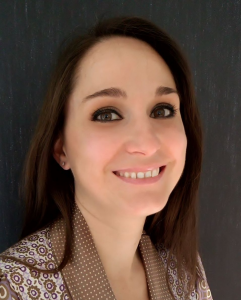 Dr. Roberta Poloni is a researcher working in the field of molecular modeling at CNRS (Centre National de la Recherche Scientifique) at the SIMaP laboratory in Grenoble, France. Roberta Poloni studied physics at the University of Camerino, Italy. During her PhD she worked at the European Synchrotron Radiation Facility (Grenoble) and the University of Lyon 1 from which she received the PhD degree. Then she worked as a postdoctoral fellow at the ICMAB laboratory in Barcelona where she developed a computational method to study specific class of solid solutions. Afterwards, she moved to the University of Berkeley (California) where she was a postdoctoral fellow for three years. She is now a staff scientist at CNRS at the SIMaP laboratory in Grenoble where she carries on her own research on molecular-based materials for carbon capture. Sylvie Roelly is Professor for Probability Theory with special interest in stochastic analysis, interacting particle systems, and statistical mechanics. From 2011 to 2015 she was the head of the Institute of Mathematics at the University of Potsdam and since May 2016 she is Vice-Dean of the Faculty of Science. The 2007 Itô Prize for the best paper in the journal “Stochastic Processes and their Applications” published in a period of two years was awarded to her. In April 2015, she won the title of “Mathemacherin” delivered by the Association of German Mathematicians (Deutsche Mathematiker-Vereinigung, DMV). Since October 2016 she is the Commissary for Equal Opportunities at the Faculty of Science, University of Potsdam. Furthermore, she is a member of the “Committee on mentoring, gender and diversity” of the Berlin Mathematical School (BMS). S. Roelly has five children and seven grandchildren. Sylvie Roelly studied mathematics at the Universities Paris 6 and Paris 7. In 1984 she received her Ph.D. under the supervision of N. El Karoui at Paris 6 and further habilitated there in 1991. In 1984-85 she was lecturer at the École Normale Supérieure in Paris and then obtained a research position at the Centre National de la Recherche Scientique (France). From 1990 to 1994, the Alexander von Humboldt Stiftung and the European Community supported her post-doctoral research at the University of Bielefeld. 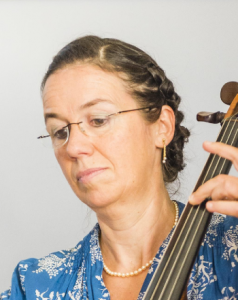 In 2001 she became a research associate at Weierstraß Institute Berlin. Since 2003 Sylvie Roelly is the head of the chair of Probability at the University of Potsdam. Prof. Dr.-Ing. 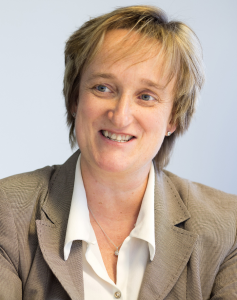 Ina Schieferdecker is Director of Fraunhofer FOKUS, Berlin, coordinates Open Data and ICT for Smart Cities at that institute and is also professor for Quality Engineering of Open Distributed Systems at the Technical University Berlin. Her research interests include urban data platforms, critical infrastructures, networking, conformance, interoperability, security and certification. Schieferdecker received a PhD in electrical engineering from Technical University Berlin. 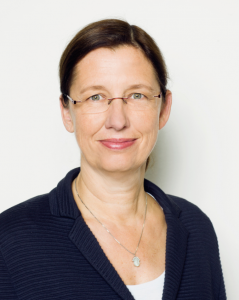 She is President of the ASQF and member of the German Academy of Science and Engineering (acatech), IEEE, ACM, and GI. She is the spokesperson for the Smart City Network Berlin. She is member of the WBGU – German Advisory Council on Global Change since 2016. Cordula Seeger studied physics at the University of Bremen, Germany and graduated with diploma in physics. She wrote her doctoral thesis in 1995 about amorphous alloys at the Institute of Materials Physics and Structure Research in Bremen. After five years materials development of ceramic, plaster and wax in industry, BEGO Company, she changed to German BKA (Federal Criminal Police Office) in Wiesbaden. She worked at the Criminal Institute for technology assessment, changed to the staff of the leading department and after that to the staff of Information Technology Chief Information Officer (CIO) and worked for the IT station department in Berlin. 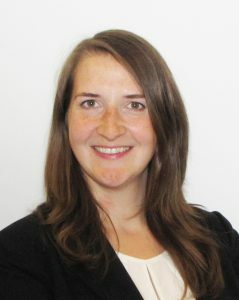 From 2009 – 2012 she worked in the administration of the German Bundestag, IT – Security department and since 2012 she has been a consultant at the scientific research services of the German Bundestag and helps members of the German parliament drafting studies and reports, proactive briefings or analyzing issues and compiling materials. In Bremen (University of Applied Sciences) and Berlin (Beuth University of Applied Sciences) she gave lectures in physics, mathematics, materials sciences to students of mechanical engineering, computer sciences, electrical engineering and process- and environmental engineering. Marita Thomas is a Mathematician and her research is devoted to the thermodynamically consistent modeling of systems with bulk-interface interaction and their mathematical analysis in terms of variational methods and tools from the theory of partial differential equations. Applications of her methods range from damage and fracture in elastic solids to optoelectronic processes in semiconductor devices. Marita Thomas received her Diploma in Mathematics from the University of Stuttgart in 2006. For her PhD she moved to Humboldt-Universität zu Berlin in 2007. After three years as a DFG-scholarship holder within the International Research Training Group “Modeling, Analysis, and Simulation of Multiphase Problems”, she defended her PhD in February 2010. After this she worked at Weierstrass Institute for Applied Analysis and Stochastics Berlin as a post-doctoral researcher in the Research Group “Partial Differential Equations”. Since April 1st, 2017 she is head of of the newly established Weierstrass Research Group on “Modeling, Analysis, and Scaling Limits for Bulk-Interface Processes” at WIAS. Marita Thomas is active in the Gesellschaft für Angewandte Mathematik und Mechanik (GAMM). In the years 2013-2015 she was awarded a membership of the GAMM-Juniors, where she contributed to the organization of summer schools and networking-events to support young academics in Applied Mathematics and Mechanics. Since 2015 she is also a member of the board of officers in the GAMM-activity group “Analysis of Partial Differential Equations”. Manuela Urban is a higher education and research manager with special interest in transforming publicly funded and controlled scientific institutions into entrepreneurial acting entities. Manuela Urban studied biology at the University of Tübingen with research studies at the National Institutes of Health, USA, and a diploma thesis at the Max Planck Institute for Biochemistry in Martinsried near Munich. For her doctoral studies in molecular biology she worked at the Gene Center of the Ludwig Maximilians University in Munich. This was the time of the fall of the Berlin Wall. As a born Berliner and a committed European, she moved back to Berlin and discovered her interest in transforming organisations and in the professionalisation of university and research management. After 1.5 years at the former German Federal Health Authority (Bundesgesundheitsamt), she worked as personal assistant to the former presidents of Humboldt University Berlin, Prof. Dr. Marlis Dürkop and Prof. Dr. Dr. h.c. Hans Meyer, later on as desk officer for mathematics and natural sciences in the president’s office. During that time she studied business administration and received her MBA from the Anglia Ruskin University, Cambridge, UK, and the Berlin School of Economics and Law. From 2000 to 2012 she worked as chief administrative officer of the Max Planck Institute for Molecular Genetics in Berlin. 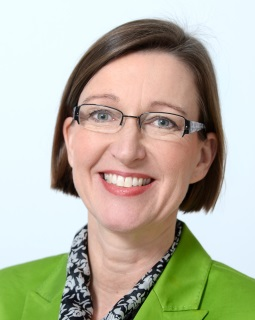 Since 2012 she is managing director of the Forschungsverbund Berlin e.V. which is a legal entity comprising eight Leibniz institutes in the natural, life and environmental sciences. Manuela Urban is an alumna of the German Academic Scholarship Foundation (Studienstiftung des deutschen Volkes). She is married and has two children. Renate Weisse studied Physics and Chemistry at the Technical University in Berlin and graduated with a Diploma in Physics. Two years scientific research at Perkin Elmer Corporation in Überlingen/Bodensee and further two years at the Institute for Spectroscopy in Berlin-Adlershof resulted in two granted Patents and a theses about Atomic Absorption Spectroscopy. Training at Weisse & Wolgast (Berlin), McLachlan & Donaldson (Dublin), German Patent- and Trademark Office and German Federal Patent Court. Admission as a German and European Patent- and Trademark Attorney in 1999. Studies in International Intellectual Property with Fernuniversität Hagen and graduation as a Master of Laws. 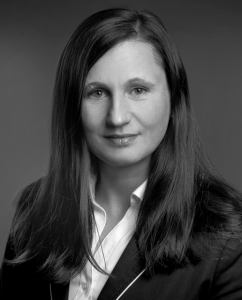 Today she has her own private practice in Berlin and represents local and international clients of all kinds and sizes before the German Patent- and Trademark Office, German Federal Patent Court, German Supreme Court and European Intellectual Property Authorities. Her experiences and advice in easy words can be found in her book “Erfindungen, Patente, Lizenzen” (Springer, 4. Edition). In addition to her Patent Attorneys work she founded guupis, a internet collaboration platform for inventors to put ideas and inventions into practice together with other experts. She actively promotes her profession on girls day, vocational events and the like. She is mother of three children.